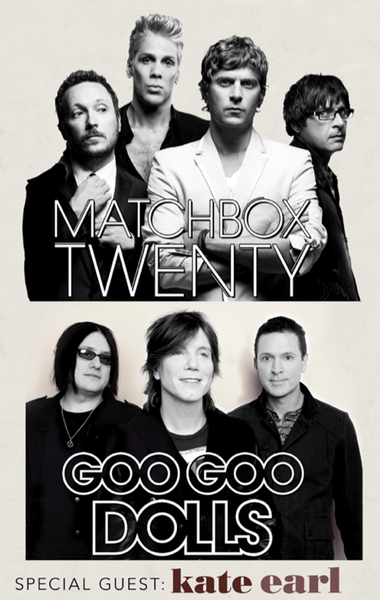 On Tuesday - June 18th - Two more shows on the Matchbox Twenty & Goo Goo Dolls Summer Tour will be included in a Fanclub Exclusive Pre-sale at 10am local venue time. A pre-sale code will be required to access these tickets. Codes will be delivered to all current fan club members on Monday 6/17 at 8am PT and again at 8pm PT. Make sure your fan club membership is valid, and be ready to check your email!